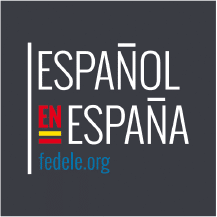 LAE Teens offers Spanish classes to complement their academic work, and are ideal for school holidays and annual breaks. We understand the educational and academic needs of our students and have worked with young people and teenagers from all over the world to offer additional support to complement their school curriculum. Depending on the needs and requests of the parents, we consult the curriculum of our students to make sure that we are perfectly in line with their studies. Our School Support classes are one-to-one with a native teacher and focus on meeting your child’s objectives. If you need support for your child to pass official examinations, to reach the required level to be accepted into the school of your choice or simply to improve their Spanish level over spring break, LAE Kids is perfectly equipped to help. Your child will be in a safe and secure environment and with our exciting and proven methodology, they are sure to make the progress you’re looking for. Contact us to ask questions or book your child's course!